Welcome friends to my very first blog post and my very first organizational series! 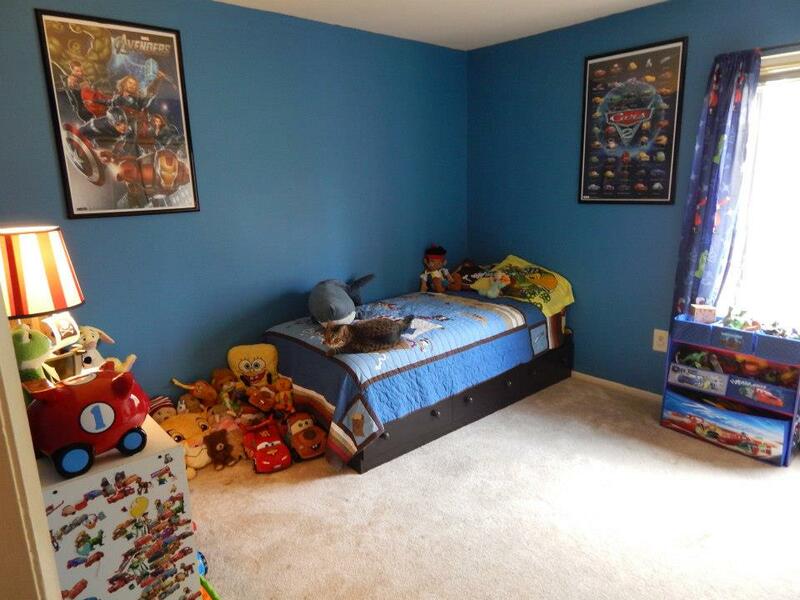 When my son, Cole, was nearly 3 years old I decided to give his room a makeover. He’s not a baby anymore and he’s starting to love super heroes and Cars and all sorts of other cute little boy things. We needed to change his nursery into a kids room and that meant a new bed, new wall color and new organization. As he’s gotten a bit older he’s accumulated so many toys, books and clothes. We still have a lot of work to do in order to maximize the space in his rather small room but so far things are looking good! Before Photo of my son’s room. Cole was never one of those babies that felt the need to escape the crib as soon as possible so we got away with keeping him in it for a lot longer than expected. He could easily have climbed out of there if he really wanted to but he knew we would be in to fetch him in the morning so he would just sit and play with his stuffed animals. I finally realized he was ready for a real bed when his little 5 year old cousin was able to lift him up and toss him into his crib one day. Yeah, that was enough of that. Instead of converting his crib into a toddler bed, which we could have done thanks to the awesome convertible cribs that are out now a days, I decided to go ahead and get him a twin bed. The bed we got him was, I believe, from the South Shore Summer Breeze Collection. It has three drawers underneath and was a great price. It’s held up very well so far and I’m pleased with it. The next step was painting. We took down the Winnie the Pooh wall decals and other “baby-ish” wall hangings. I went with a deep blue color. My son is obsessed with Disney Jr.’s ‘Jake and the Neverland Pirates’ so I wanted to go with a sort of under the sea/ pirate-y theme. I purchased curtains, a pirate ship lamp and some wall decals from Walmart. (I apologize I don’t remember how much those things cost!) I waited for his bed to arrive before painting, my husband put together the bed in our living room while I cleared out Cole’s room and painted. I used Valspar primer and paint which is amazing and it only took one coat. You can only get Valspar paint at Lowes and even though I despise Lowes as a company they have awesome paint. I purchased 2 poster frames from Walmart for about $20 each. My kid is like his mama and loves Iron Man and the Avengers so I put an Avengers poster in one and a Cars 2 poster in the other. I’m so much of a dork that I actually would rather have these in my own room but I’m also a good mama so I guess he can have them. By the time the painting was done, so was my husbands frustrating assembly of the bed and we were ready to put everything back in his room and clean up. My mother brought my son home from a day out just in time for the big reveal. Thank God he loved it! Ever since giving his room a makeover I’ve been trying very hard to keep up with organization in there. As you can imagine a 3 year old is like a little tornado so his room needs major picking up quite often. That’s pretty much it! For probably around $150 (minus the bed) we were able to transform our son’s nursery into a gorgeous “little boy” room!